Dr. Mark P. Kelly has been involved with the health and fitness field for more than 30 years; as teacher in colleges and universities; as a personal trainer, group exercise leader, coach; and as an athlete who achieved a national ranking (6th in 25-29) in duathlons in 1993. He received his B.S. in Kinesiology and Psychology from UCLA. He got his M.S. degree from Louisiana State University, Health Science Center in Physiology, and a Ph.D. in Exercise Science and Education Administration from the University of New Orleans. He is actually finishing another degree in Occupational Safety and Health from Columbia Southern University and hopes to use it for Corporate Wellness and Safety. He has been a research scientist for universities and many infomercial projects. He has more recently performed research and studies in Osteoporosis and Alzheimer’s disease. He is on the advisory board for the National Osteoporosis Foundation, the MedFit Education Foundation and Baraka Community Wellness in Boston, and has developed a 5 level (bone stress) exercise system for trainers, as well as a comprehensive performance training system called “Train SMART”. He hopes to develop a phone app for this system. 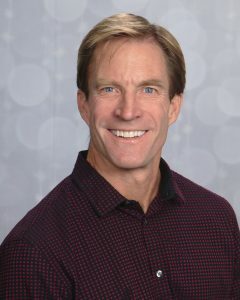 Mark was an exercise physiologist for the American Council on Exercise where he produced many workshops, webinars, presentations at conferences, and training videos. He has spoken nationally and internationally on a wide variety of topics, including exercise and aging, and exercise and the brain functions both of these were in Hong Kong. He currently speaks on the uses of exercise for clinical purposes, and its impact on the brain and body. Mark has produced several continuing education products in the medical fitness arena. Mark is a professor in several colleges and universities in Orange County, CA., where Principle-Centered Health- Corporate Wellness & Safety operates. He is still a competitive bowler, trail and mud runner, and has two daughters who keep him on his toes- or sometimes on his back!